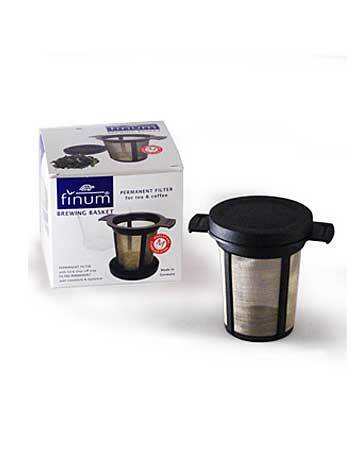 Given the delicate tissue structure that makes up the filter, this product is perfect for specialty teas and herbals. 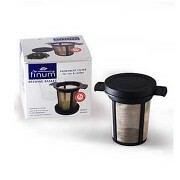 The combination of high quality BPA free plastic and stainless steel allow the user to have an aromatic enjoyable experience while the lid helps retain the heat and aroma when brewing. 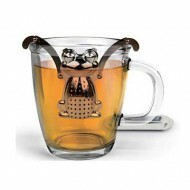 Once the brew is complete, the lid can be flipped over and used as a drip tray for the used tea filter. 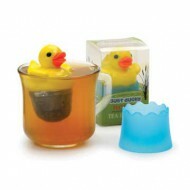 It is dishwasher safe and easily rests on the rim of bigger mugs. 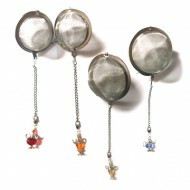 The medium size is green and is perfect for mugs, the large size is black and is used for teapots.